Click here to order Spring 2018 Portraits. You will need the provided password to access the gallery. 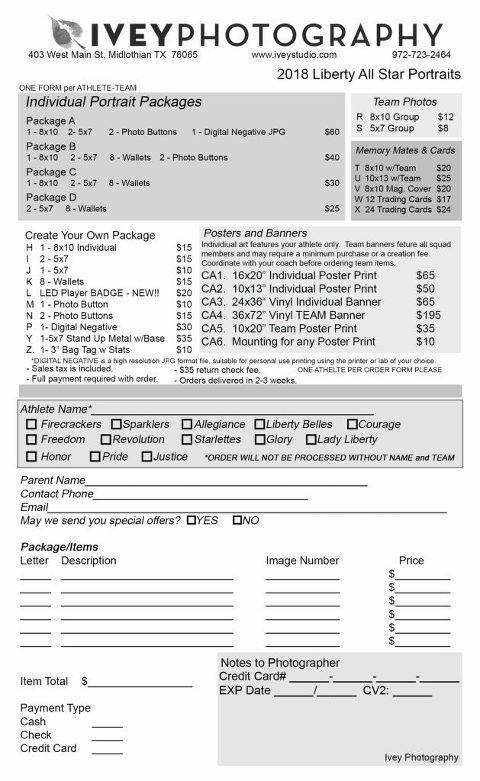 For the best pricing, download the printed order form and turn it in by April 6, 2018. Use the online gallery for proofs. The packages listed here are NOT available online. All paper orders turned in include FREE RETOUCHING!! Online orders are not retouched!